Putin ordered to resume coal supplies to Ukraine. Russian President Vladimir Putin has ordered that the government resume coal supplies to Ukraine in response to Kiev resuming electricity flow to Crimea. "They [Ukraine] might only have gotten only one line up and running, but it's still one line [of power transmission]. It is necessary to resume coal supplies," Putin said at a meeting with government members. "We can't have a situation where, while we are fully energizing [Crimea], we have on-going contracts for electricity supply from Ukraine," Putin said. "As far as I know, we don't have such contracts, but we need to look and make sure nobody is put in an awkward situation and warn everybody in advance that from such and such a time we won't be needing electricity at all," he said. "By and large we don't even need it now if we are using use mobile generators," he said. 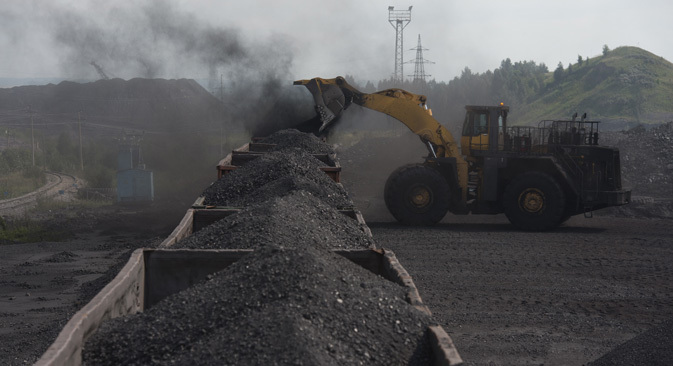 "But since our Ukrainian partners have resumed [electricity supplies], then very well, we'll take it, and in reply we'll resume coal supplies to Ukraine," Putn said.